Smart phones with built in GPS with OS like Android have potential to bring about changes in the agricultural practices. When a crop has a pest, a farmer traditionally takes the sample to nearest shop where pesticides are sold and based on experience the shopkeeper sells some pesticide. There are lots of approximations in this process. 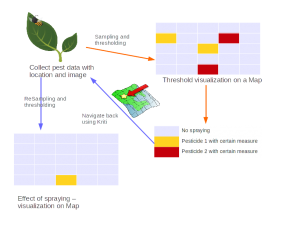 The pest per ha numbers are not known, the amount of spraying that is needed is not known and exact chemical might also be not known. The solution for this problem is to bridge the gap between a scientist and the farmer. There should communication bridge between farmer and scientist for problem solving. In this context, Kriti with its capabilities to upload pre-defined forms to a server where experts can analyze and advise, fits in exactly . KAIINOS has customized Kriti for tasks such as crop protection, asset management and scheduling. 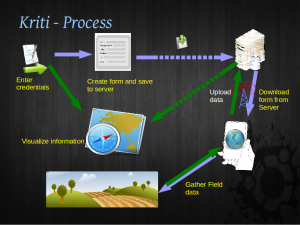 Research organizations or farmers having large farms can use Kriti for location based pest sample collection. On uploading these samples to server, based on statistical and spatial thresholding expert advice can be sought out. 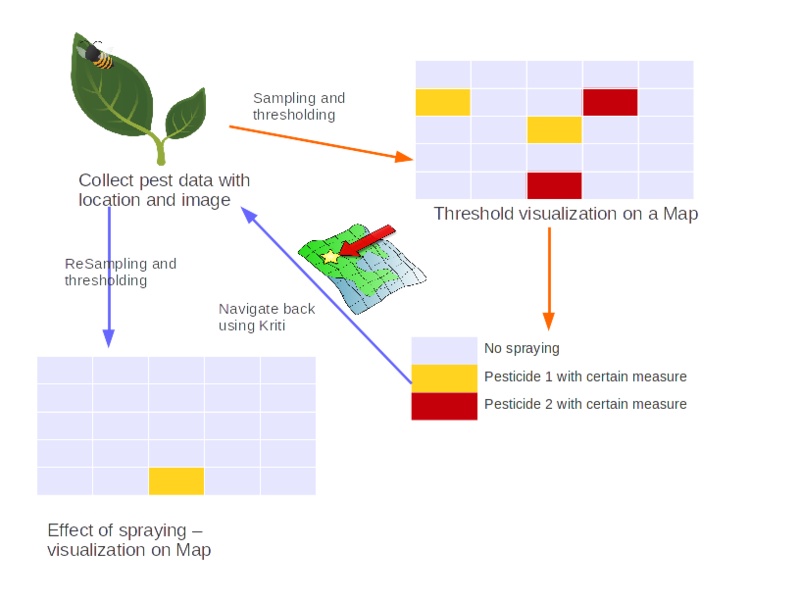 On getting the advice spraying can be carried out and effect of spraying can be monitored by navigating back to the pest location. Thus by spraying pesticides where there is a need (instead of everywhere) improves efficiency and makes it economical as well. Small farms or farmers can form co-operative societies and recruit experts to advise them. They can share costs to seek advice. Kriti enables farmers to send photos, voice and text of their farms from basic android mobile phones. They can even use Kriti for soil testing and allied farm services. 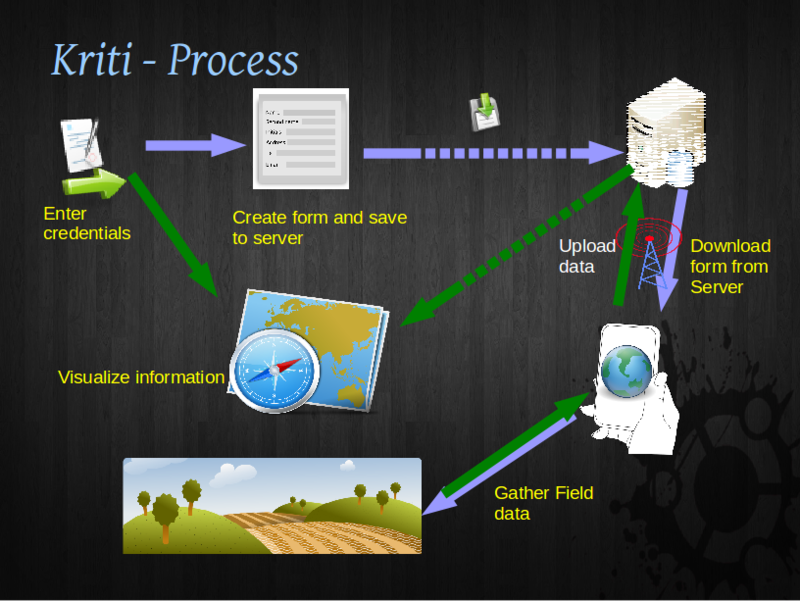 Kriti can also be provided as a cloud service for farmers and experts.